We can all remember reading predictions that at some point mankind will become immortal. Perhaps we have heard that there are techniques afoot that will eliminate disease and make the human being into something superior to himself, thus redefining us as transhuman. This is not science fiction and it is no longer in the realm of predictions for the future. In fact, transhumanists and their allies tell us, “Therapeutic human cloning, stem cell therapies, synthetic organs, molecular nanotechnology, and the digital-cerebral interface may allow us to achieve immortality in this century.” It’s all about the science, the use and abuse of human embryonic stem cell research, and the Orwellian practices that accompany such not-so-normal science. Those who do choose to reproduce will do so via assisted reproductive technologies (ARTs) ensuring pregnancy is quite deliberate. Furthermore, genetic modification, health screening and, eventually synthetic wombs will enable the child with the best possibility of a good life to be born. Parental licensing may be part of the process; a liberalization of adoption and surrogate pregnancy laws certainly will be. When global births stabilize at replacement rates, ARTs are the preferred method of conception, and responsible child rearing is more highly valued than biological parenthood, we will be procreating as transhumans. And that’s the rub because, as pro-life Americans already know, in vitro fertilization and its progeny have provided the scientific community with “material” for ghoulish research, thanks to extra embryos that might otherwise be destined for destruction or permanent states of frozen animation. 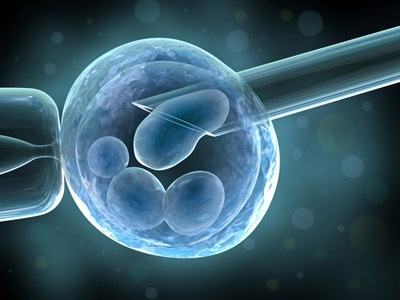 IVF and other artificial reproductive technologies, such as human cloning, have long held that the embryos were not in fact human individuals but rather clumps of cells beginning with that single cell that can be manipulated in oh so many ways. But it is this sort of verbal engineering that has made it clear to many of us that, without accurate human embryology as the foundation of our struggle, we will not succeed in ultimately protecting the human rights of every human person from creation to death. Every individual at every stage of development deserves equal protection under the law. Such a practice pinpoints once again the ethical error that is inherent in the practice of in vitro fertilization and its progeny. It expands the gateway through which the transhumanists will work their magic while dehumanizing those whose lives are manipulated by the practitioners. The bottom line here is clear: This is not science fiction, but rather the result of cultural acceptance of IVF without those in positions to do so exposing the ethical reasons why it is and always has been wrong. In vitro fertilization is the cornerstone upon which the transhumanists will build their optimal vision of man. IVF and its progeny represent man’s capacity to propagate evil and call it good. If pro-lifers do not become united in our quest to protect all innocent human beings and expose the inherent evils in practices such as IVF, it is we who will have committed the greatest error of all.